Ray Charles led one of the most extraordinary lives of any popular musician. 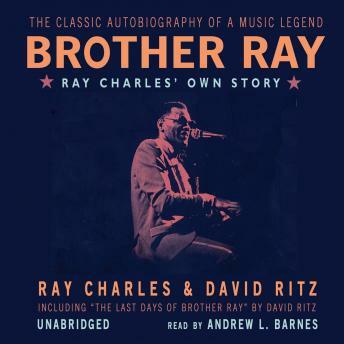 In Brother Ray, he reveals his life story unsparingly, from the chronicle of his musical development to his heroin addiction to his tangled romantic life. From his early life of poverty, he went on to invent, almost single-handedly, what became known as "soul." And throughout a career of more than a half century, Ray Charles remained in complete control of his life and his music, allowing nobody to tell him what he could or couldn't do.